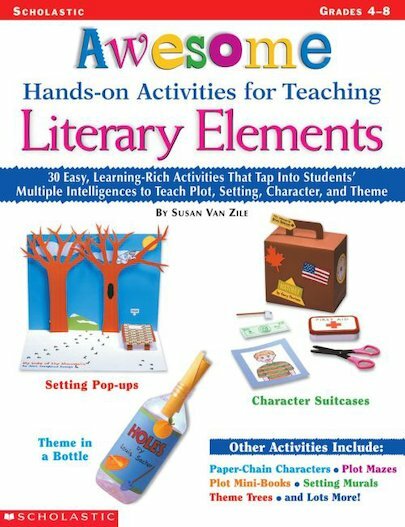 In this unique resource, a teacher shares her hands-on activities for teaching students literary elements. Activities like Setting Pop-ups, Paper-Chain Characters, Plot Mini-Book, and Theme in a Bottle help students “learn by doing.” The activities build on students’ multiple intelligences, giving all students a chance to learn information in the way they learn best. Includes reproducible student direction sheets and rubrics.